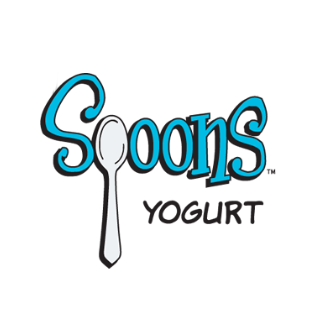 A College Station original, Spoons Yogurt was founded by Aggies and longtime locals who were inspired by the self-serve yogurt concept. With twelve flavors of high-quality frozen yogurt and countless fruit, nut, candy, and cereal toppings to choose from, you're able to make a customizable dessert exactly the way you like it. After completing your masterpiece, simply weigh it, pay it, and spoon it! Most of our yogurts are fat or sugar free, and all of them are as delicious as can be. Have fun. Eat well. Spoon often!